Tyler Durna hit a two-run home run as part of a five-run 11th inning and the visiting Emeralds (10-17) beat the Indians (9-18) 9-4 on Thursday. Durna went 4 for 6 and drove in three. 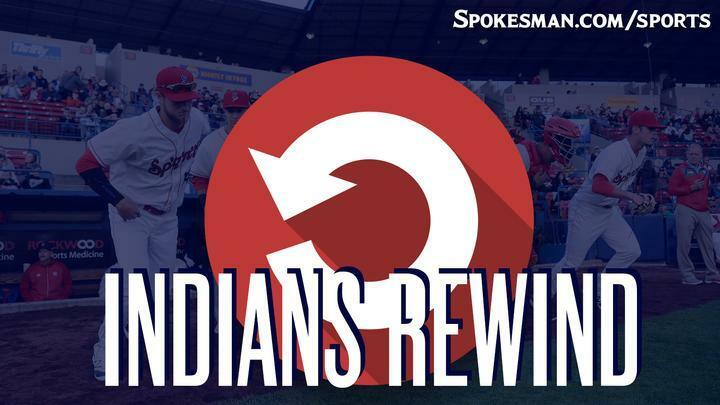 Diosbel Arias and Starling Joseph both hit two-run homers for Spokane. Starter Tai Tiedemann was roughed up for three runs on four hits and four walks over 3.1 innings. ICYMI: The third-base concession stand caught fire. It didn’t delay the game and there were no injuries. The Big Play(s): The Indians loaded the bases in the bottom of the 10th with no outs and followed with three pop-outs – none more than 20 feet off the infield dirt – by Tanner Gardner, J.P. Martinez and Jax Biggers. The Good: Homers by Arias and Joseph, his second in as many days. The Bad: Curtis Terry. The big man still leads the NWL in homers and RBIs, but he’s scuffling. He went 0 for 5 with three strikeouts. That’s 15 Ks in 33 at-bats over his last 10 games, if you’re counting. The Ugly: Not withstanding the inability to hit a fly ball in the 10th inning, the Indians went 1 for 10 with runners in scoring position.. The Takeaway: That had to be one of the most frustrating ways to lose a baseball game. The Indians had crept to within four games with 12 to go in the first half, but this loss pretty much ensures that if they want to make the playoffs for the second year in a row, they’ll have to do it like last year by sneaking in in the second half. Next Game: Indians vs. Eugene on Friday at 6:30 p.m. at Avista Stadium. Published: July 13, 2018, 11:55 a.m.